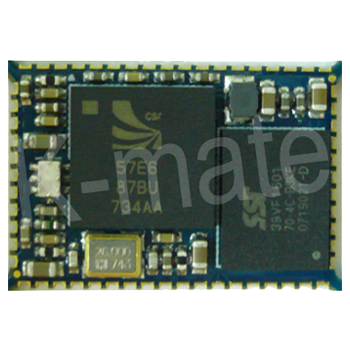 The KMBT007 is a Bluetooth sub-system using BlueCore5-Multimedia External chipset from leading Bluetooth chipset supplier Cambridge Silicon Radio.The BlueCore5-Multimedia External is a single-chip radio and baseband IC for Bluetooth 2.4GHz systems. 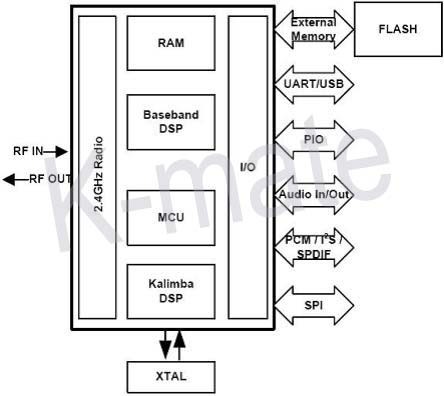 KMBT007 interfaces up to 32Mbit of external Flash memory. When used with CSR Bluetooth stack, it provides a fully compliant Bluetooth system to V2.1+EDR of the specification for data and voice.